If you need somewhere to storage your makeup brushes, then this DIY makeup brush holder is the best way to organise them. To make a DIY makeup brush holder you can either use, a jar this can be a jam jar or any type of jar you have, a pringles box, a can this can be a soup can or beans can or even a glass. Use anything you like and before making it test it out whether you will like it or not by placing your brushes in them. For this tutorial, I will be using a Pringles Box. You can get pringle boxes in a small size or a large size, don't worry if you don't have a small box you can always use the large can and cut it carefully using a blade to make it smaller, and that's exactly what I did. 1. First, cut the pringles box in half, you can do this by using the blade, but be careful with it and start cutting at a halfway point on the box and cut around making it smaller until you get the size you want. If you already have the small box you don't need to do this step. 2. Secondly, get your paper this can be wrapping paper, coloured paper or any type that you want to use, I use gold reflective paper. Start off by making sure you are using the right amount it is best to use a bit more because that can always be cut off or hidden, start with one side of the paper on the box and sellotape that on securely. Then get the other side of the paper and tightly wrap it all the way round, you don't want it to be loose, so make sure you can do it tightly as possible, and it will be best to secure that down with super glue so you can't see any sellotape on the box. 3. There should be paper left at the top it will be good to have some left so you can hide the c circumference of the box, to tuck that inside cut down at four sides and apply glue to the inside and then fold it inside the box. 4. This is the fun part, now you can decorate your box, I used silver glitter foam at the bottom of the box and added a yellow crown foam sticker. I had lots more like sequins and gems but I preferred mine to look nice and simple. Then that's all done, you have a perfect makeup brush holder. To create volume in the box or to make the brushes stand up higher you can add some beads, marbles, rice or coffee beans. You can organise them by labelling them face makeup brushes and eye makeup brushes. It's affordable and you can design it the way you like it. I hope you enjoyed this DIY makeup brush holder, and I will definitely be making more and next time I will be using an acrylic clear vase and adding marbles and beads, a bit like this image. I am actually not a brow person, because my eyebrows are naturally very dark so I don't normally do them, but they do need filling as they are uneven, but this is a product I really wanted to try and I loved trying out this brow product, this is probably my first ever brow product. Normally, if I want to fill my eyebrows I will use a black eyeliner or a angled brush and some black eyeshadow. The new benefit product claims to be 12-hour waterproof, I tested out the product for about 6 hours and it still looked pretty alright, so it could probably last 12 hours only with the benefit brow gel which makes it budge-proof. I would say it can smudge a bit if touched or washing your face. There are six colours available from 1 being the lightest and 6 the darkest, I am reviewing the darkest colour which is number 6 deep. When I first swatched this on my hand it was quite hard for me to get the colour, so I had to try harder but didn't want to break the small diamond tip. As soon as you get it working the colour then easily comes out. I do have to say when I first open the product from its packaging the product made me say wow, the packaging for the brow pencil is beautiful, I love the jewelled shape lid of the pencil. the pencil itself is a twist pencil, so you twist it for the product to come up to how much you want it to, which is great because that means no sharpening. This product is a sample product, so this is not the full sized product, the full sized product comes with a spooly which is an eyebrow comb on the opposite side, so you can apply with the pencil and then brush with the spooly comb, as this does not have the spooly comb I used my own separate one. The product itself does go on quite lightly, therefore you would not have to worry about putting too much on. The custom goof proof tip on the brow pencil is actually helpful, it allows you to have more precision when filling your eyebrows. When I was actually filling in my eyebrows with this product it, I actually noticed the wax pencil of the product was actually coming off as little circle bits, making some areas of it look dark and some light. That was because I was trying too hard with it, so I suggest you go lightly with it as it will work better if you apply firmly. Other than that, I think this is a good product eyebrow product and can help you achieve the eyebrow look you want. Overall, the product does help to fill your eyebrows and gives them a bolder look. For a full price of £18.50 I would probably not buy this, but I would recommend you try out the sample size of this product if you are able to. As well as looking after your skin, body and face, we must admit washing your hands is the most important. Before we can look after ourselves we must make sure we look after our hands because our hands are the part of our body that we use to do a lot of things with. That's why handwash especially anti bacterial handwash is very important to use at least 7 times a day to make sure your hands are clean. Carex have a lot of antibacterial hand washes in different ranges you can find them here. I also did a review on Carex Shower Gel, which is my favourite shower product to use you can find the review here. Carex have a wide range of hand washes, fun edition which are sweet and scented hand washes and their original ranges which include careplus and protectplus handwashes. The fun edition hand washes are encouraging for children to wash and keep their hands clean, as they have different scents, including love hearts, chocolate orange, bubble gum and strawberry lace which of all children will love to use. The three hand washes I tried out were love hearts, argon oil and cocoa and bubble gum. The love hearts smell exactly like the love heart sweets and the bubble gum smells exactly like original bubble gum, they are very true to their description. However, the fun edition hand washes are not really for me they would work best with children as I would not prefer my hands to smell of sweets, the argon oil and cocoa is something that is more suitable for me, and I have also tried the Carex Original handwash which smells amazing even though it doesn't have a specific smell to it. As well as hand wash there are other ways to keep your hands clean when you are out and about, that's by using hand sanitizer or hand gel. The carex moisture plus hand gel has a floral type of scent to it which stays on your hands for quite a while and once you apply it onto your hands it gives a cold cooling sensation for a couple of seconds. They also have different scents in this range as well, as well as fun edition which again will be encouraging for children to use. Another alternative is hand wipes, the carex hand wipes can be used on your hands, face and body, they have only one size which is 15 hand wipes which are actually travel size packs, so they are useful if you are travelling. They are perfect for cleaning your hands and smell refreshing. You can find the hand wipes here Refreshing Hand Wipes. In general, keeping your hands clean is a must and with all these hand products you are definitely going to be protecting them. My hands definitely feel clean when I use carex and they are affordable to purchase online or in stores. I will definitely be using carex products in the future, they have always been my favourite because they are perfect for your skin no matter what skin type you have. These products were sent to me, this does not change my opinion about them my review is my own honest opinion. This post is about all the different cute hairstyles you can make using bobby pins to make different shapes and using different colour pins to make the style even more awesome. 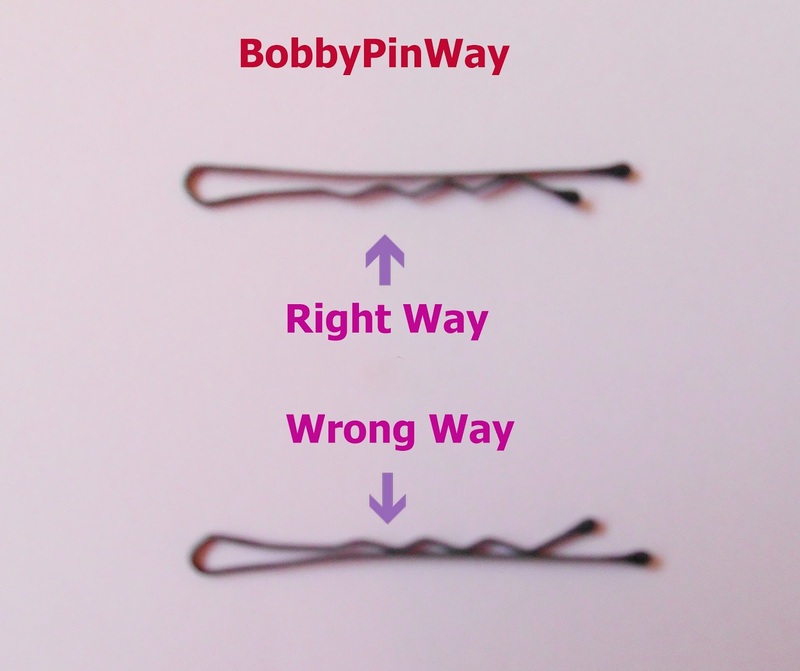 I wrote a post on 10 Ways To Use Bobby Pins check that out if you haven't for useful ways to use bobby pins. Prior to that post, I decided to share with you 8 different hairstyles you can create using bobby pins. 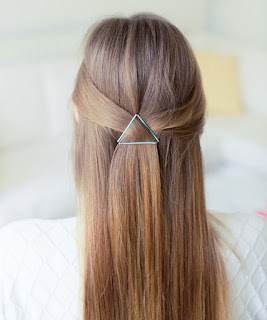 For this unique hairstyle gather some hair from the left and from the right, then pin two bobby pins at opposite sides and then secure them at the bottom to form a triangle. 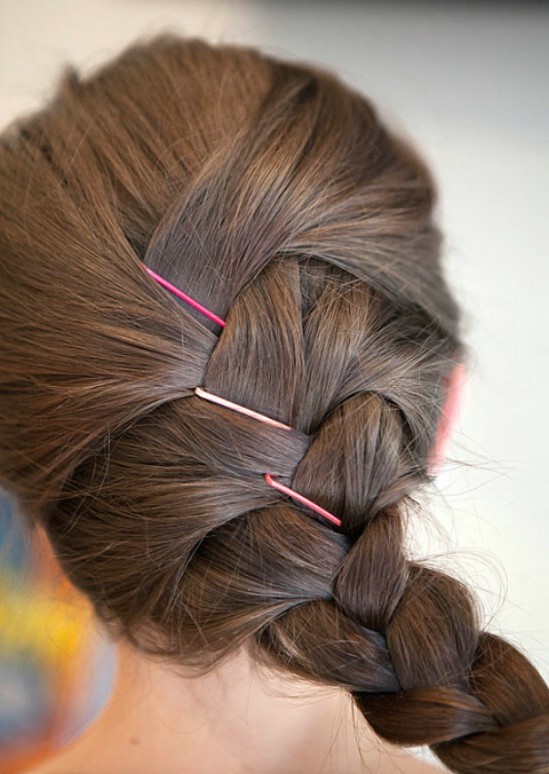 You can join the bobby pins together from the ends to make sure it is secure. For this bobby pin style, first gather hair from the left and right make a plus (+) with your two bobby pins, then on top of that make a cross (X) to form this snowflake. 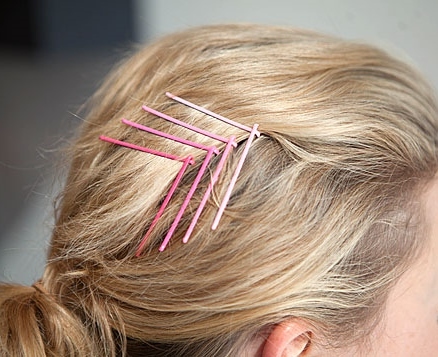 This bobby pin style will look great in the winter! 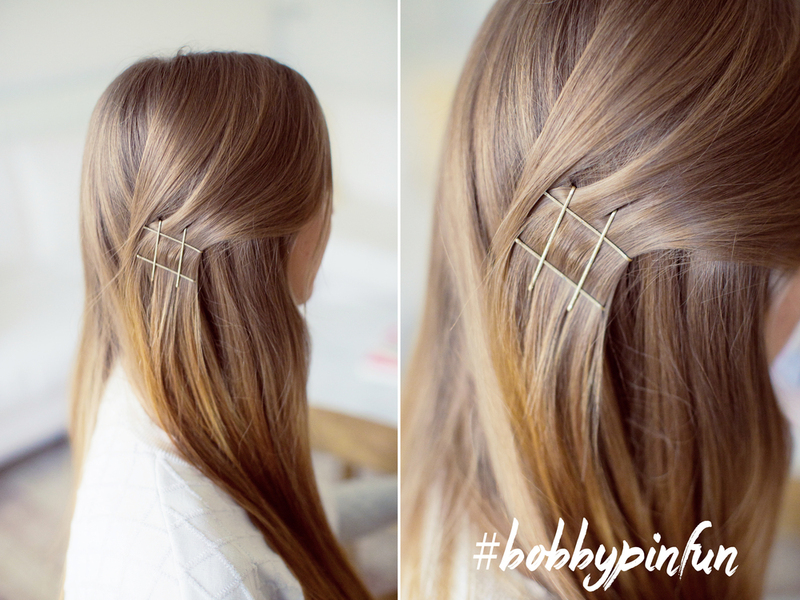 You can create this cross bobby pin look by simply creating an X with your bobby pins. 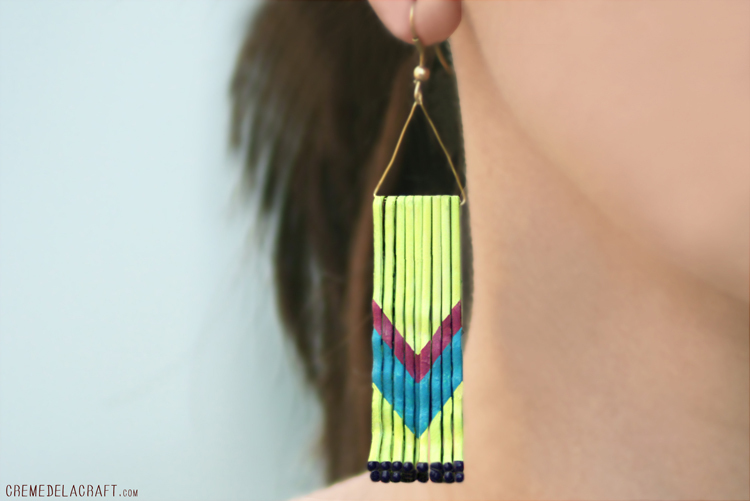 It will give you a cool and awesome look with two criss crosses on the side. If you love creating braids then you can glam them up even more with this style, all you need to do is add bobby pins in your braid, this is a french braid. To make it look even more appealing add colorful bobby pins. To create this funky chevron style make a V using two bobby pins, and make sure to space the first bobby pins the widest and last the least widest to get this style. 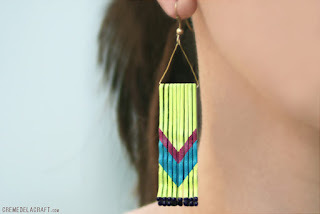 As well as this chevron hair style you can also make chevron earrings from here. 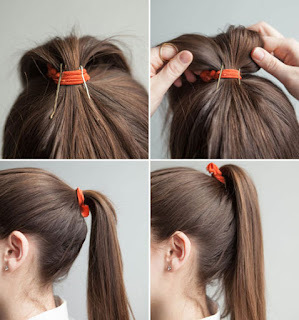 This is a useful trick as well as a hairstyle, to make your pony higher all you need to do is get two bobby pins and secure them in with your hair bobble, you can also do that underneath your ponytail as well for a better hold, this helps your pony stay up. This is an easy and simple hairstyle, all you need to do is grab a section of hair and twist it and then secure it with a bobby pin. 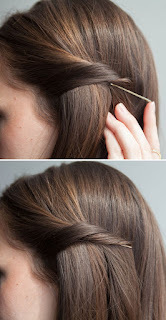 Alternatively, you can braid instead of twist and secure with a bobby pin. A beautiful but yet a everyday look. 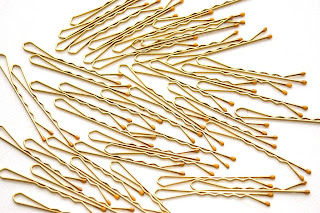 Bobby pins are hair pins that are either plastic or metal and are mostly used to hold your hair in place. They can be called bobby pins, hair grips, hair pins, jumbo pins, or kirby grips. They are affordable to purchase and here's how you can use them in 10 different useful ways other than using them for your hair. 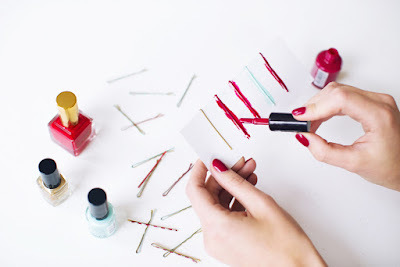 You can DIY your bobby pins by using nail polish or acrylic paint to paint them to your own preferred colour, you can even add glitter on your bobby pins, to do this you need to make sure you add the glitter when the nail polish or paint is still wet so the glitter can dry with the polish or paint. You could even add a small flower of ribbon at the end of the bobby pin, the end result will look beautiful than the plain bobby pins. 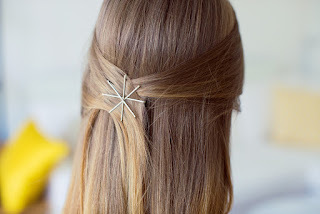 You can make fun designs and create cute hairstyles using bobby pins, and to hold them together you can use dry shampoo, texture spray or hair spray to hold your hairstyles and bobby pins in place. You can find the Hairstyles here. 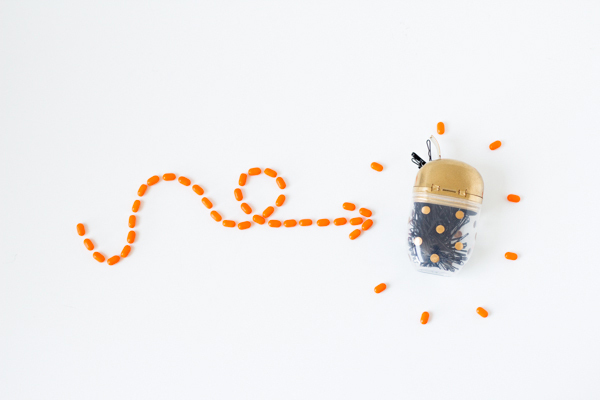 To keep all of your bobby pins together you can store them in a tic tac container or any small box like an empty cream tub. This way you won't lose them and they will be there for you to use. You can also decorate your small box by painting it, adding stickers or writing bobby pins to make it look lovely. Or, if you want the bobby pins to be right there for you to grab, attaching them to a magnetic strip and then placing the strip inside a draw or around a makeup brush holder will be efficient. If you have trouble applying glue to false eyelashes or you need something to apply it with, you can use the end of a bobby pin to apply the glue onto the eyelashes, it will be much easier and the right amount will be applied. 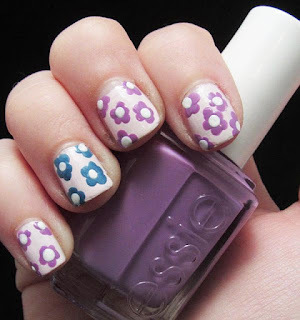 If you love nail art but, you just don't have all the tools to make the lovely patterns, you can use the end of a bobby pin to create dots, flowers, hearts, stars and even lines. It's a good alternative to nail art tools. If you want to hide bobby pins in your hair get the same colour bobby pins as your hair colour to hide them in your hair. So, for black hair black bobby pins, for brown hair brown bobby pins and gold colour for blonde or light brown hair colour. If you love creating new hairstyles and braids to your hair, but you don't have small elastic bobbles or enough of them, you can use a bobby pin to secure the braids and hairstyles in place instead of small elastic bottles, they will do the same job. 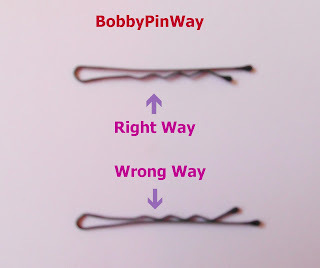 If your bobby pin has widened just use pliers to push the side down together or another recommended technique is to criss-cross the two grips of the bobby pin so first pushing one side to the left and then one side to the right and then push it back to it's normal position and it should be back as normal. Here is a video which shows how to do it Fix Loose Bobby Pins. 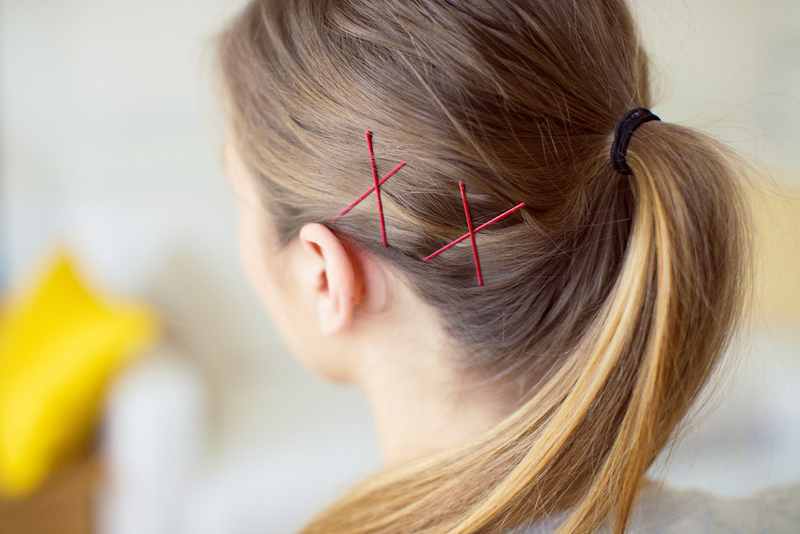 Finally, in case you don't know you use the bobby pin so the flat side of it should be showing on your hair and the zig zag part of should be in underneath in your hair this helps the grips to hold on to your hair and keep it in place. In this review I will be reviewing and comparing two drugstore lipsticks that are affordable to purchase and which are from two different brands, but are similar in colour. The first lipstick is Avon Extra Lasting Lipstick in the colour Ravishing Rose, this lipstick is from the brand Avon, there are other colours available in pink, brown and red. 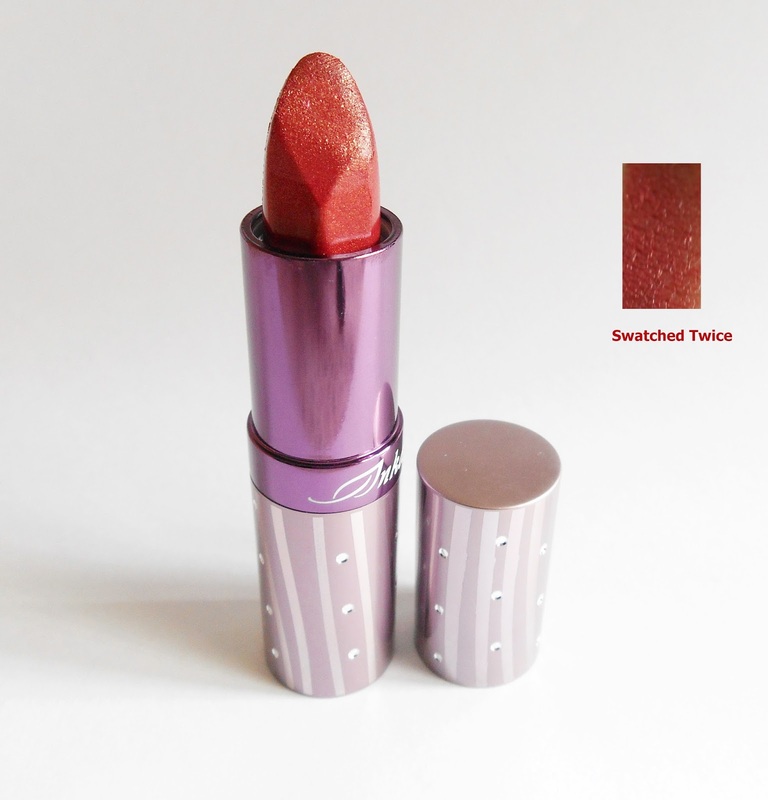 This lipstick includes SPF15 and claims to last up to 8 hours even though it is not matte. You can purchase this from Avon online or if you have Avon brochures. 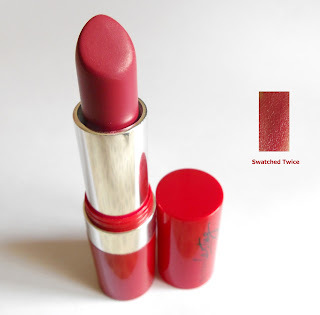 The second lipstick is Natural Inkane Lipstick in the colour 616, this is a lipstick not made in the UK it is an Asian lipstick, unfortunately I just checked and the website currently do not sell this lipstick anymore, instead it has been replaced with others. Price- The Avon lipstick I purchased when it was on offer for £4.00, however Avon do keep on changing prices up and down so the price for this lipstick is not a fixed price. The Inkane Lipstick I purchased for nearly half of the Avon lipstick price which was £2.10. Scent- The Inkane Lipstick surprisingly does not have a scent to it at all when applied on the lips it does not smell of anything. The Avon lipstick when smelt smells very sweet somewhat like sweet raspberries, when applying the lipstick on the lips you can smell it, but I like the smell it smells sweet. Quality- The Avon lipstick is an extra lasting lipstick as it claims to be, it can last more longer than the other lipstick but I would say it does not last 8 hours as it does smudge off when you eat or drink something and does transfer, and it feels very moisturising when applied. However, the Inkane lipstick has glitter in the formula, so when applied glitter will also appear and can sometimes smudge to other parts of the face which is something I do not like about it, but they do have other lipsticks too in that collection which do not include glitter, for example the colour 607 is a neutral colour. Packaging- The packaging for the Inkane lipstick I think looks beautiful with the silver gems stuck on the packaging makes it look really appealing. The packaging for the Avon lipstick is pretty simple it is red and has extra lasting written on the lid of the lipstick. The finishing look for the Inkane Lipstick looks lovely it gives me a glossy shiny look on the lips, and the Avon lipstick really gives my lips the red colour and it feels very soft on the lips. Both lipsticks are pretty enough the same colour the only difference is that the Avon lipstick is more pigmented in colour and when applied on the lips it actually looks more of a lighter red than the actual lipstick colour, the Inkane lipstick has more glitter to it whereas the Avon lipstick does not at all. Overall, I enjoyed using these lipsticks and will recommend them when looking to purchase affordable lipsticks. 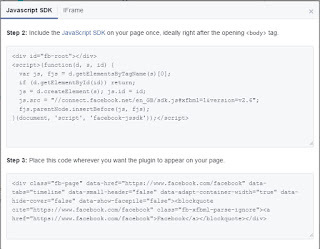 If you have a Facebook Page about your blog or is related to your blog and you want to add it to your blog, then that would be something great to do, linking your Facebook Page visibly on your blog will give you more audience but also allow your followers to stay connected with you, you can do this by following these simple steps in this post. 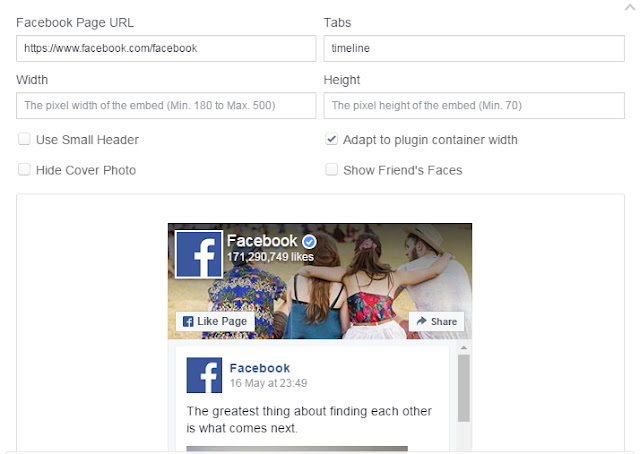 Where it says Facebook Page URL, enter your Facebook page URL, and you can adjust the height and width of the widget. The recommended size for a Facebook page widget is width 380 and height 200, but its totally up to you to check out which size you prefer best. There are additional settings as well which you can make to your widget when setting up. After you have finished customising your widget to the way you want it. Click on Get Code. When you click on get code it will give you two codes similar to this which you need to add into your blog. 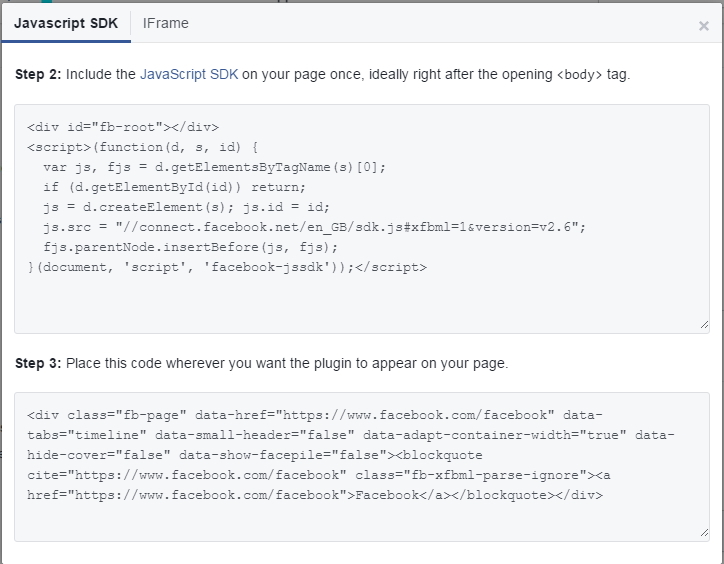 To add the codes go to your blog then click on Layout, then click on add a gadget where you want to place the Facebook page widget. Both of these ways work the same way it just depends on the way you want to do it, I recommend doing it by placing both codes together as a gadget, as they are both there together in one place so in case you need to remove the widget you can just remove the gadget. After installing the Facebook Page widget on your blog when you post on your page it will automatically update on your blog if your widget has posts showing.